Imagine if you were to walk into your local supermarket tomorrow and be presented with a sleek black cart, complete with a bright white double C logo and one of the most powerful words in fashion attached to the side- Chanel. I'm going to be honest here, if it were me, I'd instagram the hell out of it before going anywhere. And that, ladies and gentleman, is why we have the picture you see before you - because another in the fashion world thinks the same way most of us do when it comes to flash fashion. 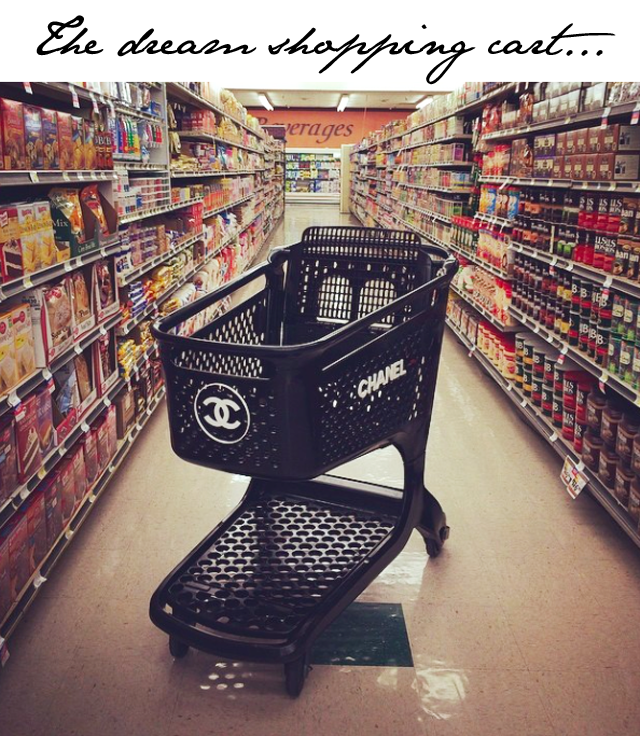 Elle Magazine's Joe Zee shared this Chanel shopping cart today on instagram with the comment, "This is how I shop at the supermarket when it comes to the September issue of @elleusa." So.... I haven't picked up the September issue of Elle yet, but this must mean we have a Chanel supermarket sweep in store, no?